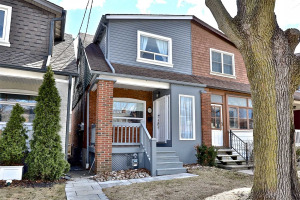 Great Family Home In Davisville Village! Located In Highly Sought After Maurice Cody School (8.2 Fraser Institute Ranking) & Northern Ss. Guarantee Your Kids Popularity With Your In-Ground Salt H2O Pool & Oasis Backyard! Rare 3 Storey Addition = Large Master Bedroom With Vaulted Ceilings & Dressing Rm & Main Floor Family Rm. Fully Finished & Waterproofed Basement With Separate Entrance. **93 Walk Score** Eglinton Lrt Coming Soon! All Appliances: Stove,Fridge,Dishwasher,Microwave/Ex.Fan,Washer/Dryer,Sump Pump. Garage. Elfs. 2Xwindow Ac Units. Master Wardrobes. New Interlocking Stone Driveway. New Flooring 2nd Flr & Basement. Newly Painted. Hwt Rental.